Welcome to this 1-bedroom condo in the exclusive Fives Downtown. Owning this condo will give you endless amenities of great added value for you and your guests. 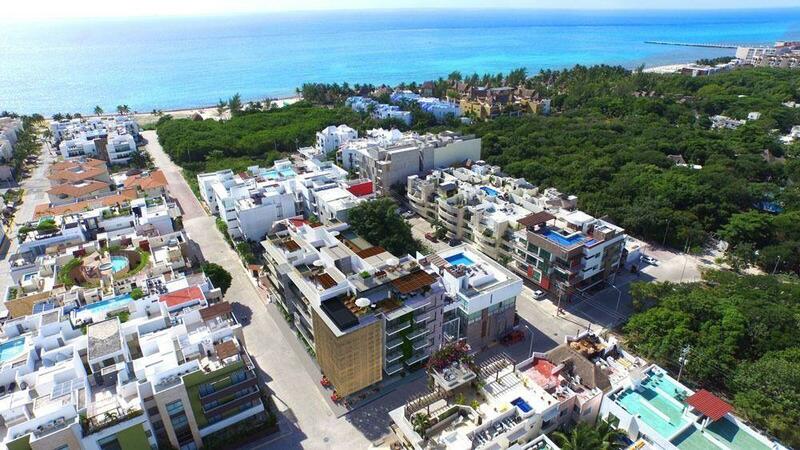 This luxury condo is located in the heart of the Center of PLaya del Carmen, place of greater tourist affluence throughout the year, together with the great infrastructure of attraction marketing the Fives & HIlton Hotels guarantees a constant flow of vacation rentals with the most exclusive hotel service. The place has an unbeatable ocean view, with an infinity pool and the best service of restaurants and cafes. The great success of this unique project is the rental pool, with an initial monthly income of more than 1000 usd that continues and will continue to increase month by month. This income is free of all expenses, free of worries, all maintenance and labor services included. This implies 0.0 investment of time in the property. The suite already has a positioning and a monthly income that will simply continue to increase. The owners have special rates and several preferences such as 20% discount in spas, restaurants and cafes among many other benefits. The Fives Downtown has had such a resounding success that they have built a second phase of luxury units that is practically 100% pre-sold. These are some of the amenities that the place has.